STATE CAPITOL, PHOENIX – Rep. Albert Hale, D-St. Michaels (District 7), delivered a keynote address on tribal governance and culture in the 21st century at the 2014 Tribal Telecom and Technology Summit earlier this month. This was the third annual summit, and it convened at the Wild Horse Pass Hotel and Casino in Phoenix for three days. Hale’s remarks included a historical overview of tribal land ownership and the changing relationship with the United States federal government, all of which affect current infrastructure development. Hale also said the technology itself must meet people’s needs. He shared a story about his own family to illustrate that point. 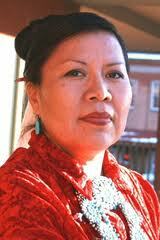 “My paternal aunt only speaks Navajo. Most voicemail instructions are given in English, so if she makes a call and no one answers, she leaves a message, but the only message is ‘That’s what I wanted to tell you. That’s why I called you.’ She does not understand you have to leave your message after the beep. When we develop the infrastructure in our communities, we must ensure that those changes are understandable and accessible to everyone,” Hale said. Hale added the he was grateful for the opportunity to discuss these issues at the summit. “I would like to thank the summit’s advisory council for inviting me to share my thoughts and my experiences. Modernizing communication infrastructure is an essential part of preparing for the future,” Hale said. For more information on the summit, go to: http://www.tribaltelecomconference.com/. STATE CAPITOL, PHOENIX – The Arizona House of Representatives recently passed a bill introduced by Rep. Catherine Miranda, D-Phoenix (District 27), intended to encourage students graduating from eighth grade to continue their education. Miranda’s bill, HB 2501, would prevent school district governing boards from requesting signed certificates of promotion from the county school superintendent while allowing schools to conduct ceremonies to honor the students being promoted from eighth grade. The bill passed 58-1 and now goes to the Arizona Senate for consideration. A full copy of the bill is available at: http://www.azleg.gov/DocumentsForBill.asp?Bill_Number=2501&Session_Id=112&image.x=0&image.y=0. STATE CAPITOL, PHOENIX – Rep. Martín Quezada, D-Phoenix (District 29), released this statement after Gov. Jan Brewer signed HB 2196, which repeals HB 2305 and will keep voters from deciding whether the state can implement restrictive changes to the election process. “The governor’s decision to sign HB 2196 is an insult to Arizona voters. This law repeals HB 2305, effectively undermining a voter-led referendum. Last year, the community came together and collected about 146,000 signatures to put HB 2305 on the ballot. They wanted a chance to have their voices heard on a law that created significant barriers to the voting process. “Based on the number of signatures collected for the referendum, it is obvious that Arizonans demanded the final word on this. The governor’s decision today circumvents the will of the voters and leaves the door open for future restrictions to the voting process. The attention that her actions on SB 1062 received will not distract from this. STATE CAPITOL, PHOENIX – House Minority Leader Chad Campbell, D-Phoenix (District 24), released this statement after Gov. Jan Brewer announced she has vetoed SB 1062. STATE CAPITOL, PHOENIX – Rep. Jamescita Peshlakai, D-Cameron (District 7), recently introduced a series of House Concurrent Memorials to commemorate the Native American veterans of Arizona. A House Concurrent Memorial is a formal request to act on an issue that the Arizona Legislature does not have jurisdiction to act upon itself. Peshlakai’s legislation asks the Arizona Department of Transportation to adopt new names for some portions of highways on tribal lands in Arizona. STATE CAPITOL, PHOENIX – Recently the Arizona Legislature’s Native American Caucus met to discuss challenges and opportunities for Native American students who want to pursue higher education. The group heard recommendations from experts who work in the area of Native American students and community education issues. Arizona Board of Regents Treasurer LuAnn Leonard gave an update of the board’s priorities for Native American education, which include recruitment and retention, greater access to university enrollment for community college students, financial aid, tribal communication and residency classification. The board’s goals are intended to provide resources that would increase access to higher education for Native American students. As a part of this update, representatives from the three major public universities presented on initiatives their universities have taken to increase the success of American Indian students. These initiatives included community service, research expansion and increasing graduation rates. The Deputy Associate Superintendent of Native American Education and Outreach, Debora Norris, also spoke about the progress that the Department of Education has made in helping Native American students succeed in public education. She outlined recommendations for improving education within indigenous communities. These recommendations focused on funding, programs, and policies that would benefit Native American education. Sen. Carlyle Begay, D-Ganado (District 7), shared some startling statistics about graduation rates among Native American students. Hale added that investing in Native American education is beneficial for the state. STATE CAPITOL, PHOENIX – Arizona House Democrats from Tucson are working at the Capitol to push for job creation, funding for mental health programs and creating more inclusion for people with disabilities. Rep. Demion Clinco, D-Tucson (District 2), is sponsoring HB 2696, a bill that would require that Arizona companies be given preference over out-of-state companies when bidding on state contracts if both companies have the lowest bid. The Arizona House Government Committee recently passed this bill, and it must now be heard in the Arizona House Rules Committee. Rep. Stefanie Mach, D-Tucson (District 10), introduced HB 2667, which would remove the words handicapped and disabled from state laws and from all materials the government produces in the future, such as signs that indicate parking for people with disabilities. The Arizona House Health Committee recently passed this bill. Next it will go to the Arizona House Rules Committee for consideration. Rep. Victoria Steele, D-Tucson (District 9), introduced HB 2490, the Youth Mental Health First Aid Bill, which is intended to help people identify, understand and respond to signs of mental illness, eating disorders and substance abuse disorders in youth. The legislation would provide an additional $250,000 to the Department of Health Services for a Mental Health First Aid Program that would train adults who work with youth to identify mental health issues. The Arizona House Health Committee also passed this bill, and it too must be heard in the Arizona House Rules Committee. 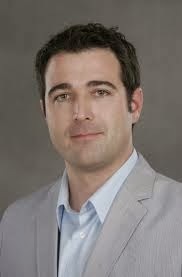 STATE CAPITOL, PHOENIX – Rep. Demion Clinco, D-Tucson (District 2), is the only gay member of the Arizona House of Representatives. He released this statement after the Arizona House of Representatives passed SB 1062. “As the only representative of the LGBTQ community at the State House, I have to express my complete disappointment in those who supported this bill. It is both discouraging and appalling to see state-sanctioned discrimination being promoted under the veil of religious freedom. “This legislation clearly targets the LGBTQ community and cities like Phoenix, Tucson and Flagstaff that have extended civil rights protections to the LGBTQ community. I began serving in this chamber less than a month ago, and already I am seeing the dramatic lengths the extremists here will go to push an agenda. For the state to actively pursue legislation that would justify discrimination is an affront to the people of Arizona. The Arizona House of Representatives passed SB 1062, 33-27, and the bill now goes to the governor for consideration. To view a copy of the bill, go to: http://www.azleg.gov/DocumentsForBill.asp?Bill_Number=1062&Session_Id=112&image.x=0&image.y=0. STATE CAPITOL, PHOENIX – House Minority Leader Chad Campbell, D-Phoenix (District 24), today released this statement after the Arizona House of Representatives passed SB 1062, a bill identical to HB 2153, which would allow discrimination under the pretext of religious freedom. “This bill takes aim at the LGBTQ community. It seems to be a reaction to the civil rights laws passed by Phoenix, Tucson and Flagstaff. SB 1062 does nothing to create jobs and it does nothing to improve education. Instead, it promotes extremism and provides opportunities for discrimination. SB 1062 passed 33-27, with no Democratic support. It now goes to the governor for consideration. To view the entire bill, go to: http://www.azleg.gov/DocumentsForBill.asp?Bill_Number=1062&Session_Id=112&image.x=0&image.y=0. STATE CAPITOL, PHOENIX – Today the Arizona Latino Caucus unanimously decided to oppose HB 2153 and SB 1062, which are identical bills and would allow discrimination against almost anyone under the guise of religious freedom. Caucus Co-chair Rep. Martín Quezada, D-Phoenix (District 29), released this statement on behalf of the caucus. “Our Latino community has faced discrimination and intolerance in this state for generations. We will not sit silent as other communities are being threatened with similar bigotry. “Today the Latino Caucus took an official position against HB 2153 and SB 1062 because they are simply platforms for extremism. These bills would provide protection for discrimination and should not be allowed to become the law of the land. STATE CAPITOL, PHOENIX – Rep. Albert Hale, D-St. Michaels (District 7), released this statement today after the House Public Safety, Military and Regulatory Affairs Committee passed HB 2208, a bill that would appropriate $929,500 for the Navajo Nation Veterans Housing Project to build 75 homes for veterans. “I would like to offer my gratitude to Rep. Sonny Borrelli for sponsoring this legislation and for being a champion for the Navajo Nation Veterans Housing Project, which was created to provide homes for indigent and homeless veterans. I would also like to thank all the members of the House Public Safety, Military and Regulatory Affairs Committee who supported this legislation. To view a full copy of the bill, go to: http://www.azleg.gov/DocumentsForBill.asp?Bill_Number=2208&Session_Id=112&image.x=0&image.y=0. STATE CAPITOL, PHOENIX – Today the House Health Committee unanimously passed HB 2667, a bill Rep. Stefanie Mach, D-Tucson (District 10), introduced that would remove the words handicapped and disabled from state laws and from all materials the government produces in the future, such as signs that indicate parking for people with disabilities. Mach is trying to change the way the state addresses people with disabilities. She survived a car accident in 1997, which knocked down an electrical line and shocked her, causing her to lose her arm. She said as a person with a disability she understands the effect of dehumanizing words on a person or a group of people. The bill now goes to the House Rules Committee for consideration. To view the entire bill, go to: http://www.azleg.gov/DocumentsForBill.asp?Bill_Number=HB2667&Session_ID=112. STATE CAPITOL, PHOENIX – Today the House Health Committee unanimously passed the Youth Mental Health First Aid Bill, introduced by Rep. Victoria Steele, D-Tucson (District 9), that would provide an additional $250,000 to the Department of Health Services for a program that trains people to identify, understand and respond to signs of mental illness, eating disorders and substance abuse disorders in youth. Steele, a licensed counselor and a mental health professional, said behavioral issues often start to develop during adolescence, which is why she is pushing for the expansion of the youth component of the Mental Health First Aid Program. To see a full copy of the bill, go to: http://www.azleg.gov/DocumentsForBill.asp?Bill_Number=2490&Session_Id=112. STATE CAPITOL, PHOENIX – On Tuesday, the Arizona House Government Committee passed a bill sponsored by Rep. Demion Clinco, D-Tucson (District 2), that will support local businesses in Arizona. Clinco, the newest member of the Arizona House of Representatives, was appointed earlier this month. He immediately introduced HB 2696, a bill that would require that Arizona companies be given preference over out-of-state companies when bidding on state contracts, if both companies have the lowest bid. The bill passed 6-2, and it must now be heard in the Arizona House Rules Committee. To view a copy of the full bill, go to http://www.azleg.gov/DocumentsForBill.asp?Bill_Number=HB2696&Session_ID=112. STATE CAPITOL, PHOENIX – House Minority Leader Chad Campbell, D-Phoenix (District 24), is pushing the Legislature to protect consumer choice, to promote competition and to support renewable energy in Arizona. Campbell introduced a House Concurrent Resolution, which proposes an amendment to the Arizona Constitution that would give voters a voice on solar and renewable energy standards for the state. HCR 2032 would alter the Arizona Constitution until 2024 to include the Arizona Corporation Commission’s net metering regulations that were a part of the Renewable Energy Standards and Tariff rules. These rules require regulated utility companies to provide net metering to electric customers at a set rate. Campbell pointed to HB 2595, a bill the House Ways and Means Committee is scheduled to hear on Feb. 17 that would make it more expensive for people to lease solar panels, as an example of the way some utility companies are attempting to clamp down on renewable energy options. To view a copy of HCR 2032, go to: http://www.azleg.gov/legtext/51leg/2r/bills/hcr2032p.pdf. To view a copy of HB 2595, go to: http://www.azleg.gov/DocumentsForBill.asp?Bill_Number=2595&Session_Id=112&image.x=0&image.y=0. “Unfortunately, extremists in the House were able to pass this bill, which is an attempt to hinder the will of the voters. Last year, so many people worked to collect about 146,000 signatures for a referendum on HB 2305, a bill that created barriers to the voting process. At the same time, it made it easier for some legislators to keep their jobs because it lowered the number of signatures needed for some candidates to get on ballot. It is clear that the voters want a chance to weigh in on this. The bill will now go to the Arizona Senate for consideration. To view a copy of the bill, go to: http://www.azleg.gov/DocumentsForBill.asp?Bill_Number=2196&Session_Id=112&image.x=0&image.y=0. STATE CAPITOL, PHOENIX – Rep. Jonathan Larkin, D-Glendale (District 30), received the Copper Shield Award from the Unified Arizona Veterans on Feb. 12 at the Arizona Veterans Hall of Fame Society Gala, for his commitment to serving Arizona’s veterans. Unified Arizona Veterans was established more than 30 years ago to collectively promote veteran-related affairs. Now including 45 Veteran Service Organizations, UAV continues to actively propose, support and endorse legislation, administrative or other actions which further the general welfare and well-being of all Arizona veterans. The Copper Shield Award is presented annually by UAV to an elected official who has made significant contributions to the veteran community. This award, along with the Copper Eagle Award and the Copper Sword Award, are typically given at the Arizona Veterans Hall of Fame Society Gala. Arizona House of Representatives honors former Sen. Arthur J. Hubbard Sr.
former Sen. Arthur J. Hubbard Sr.
STATE CAPITOL, PHOENIX – Today the House of Representatives unanimously adopted a resolution introduced by Rep. Albert Hale, D-St. Michaels (District 7), and members of the Native American Caucus to honor former Sen. Arthur J. Hubbard Sr., who passed away this month at the age of 102. Arthur J. Hubbard Sr. was born Jan. 23, 1912 in Topawa, Ariz. on the Tohono O’odham Nation and later served as a Navajo Code Talker during World War II. He was the first American Indian to ever be elected to the Arizona Senate, where he served for 12 years. He was recognized for his tremendous contributions to the welfare, education, and health of Arizona Native American Tribes. STATE CAPITOL, PHOENIX– Chicanos Por La Causa, Inc. recently selected Rep. Rosanna Gabaldón, D-Sahuarita (District 2), to serve as a member of the organization’s Southeast Arizona Advisory Board. CPLC is a community development corporation that provides services in Arizona, Nevada, and New Mexico. Since 1969, CPLC has focused on developing self-sufficiency and instilling empowerment in those it serves. The organization’s focus areas are economic development, education, housing, and social services. “We are honored to have Rep. Gabaldón join our Advisory Board. Her passion and vision for the people we serve in Southern Arizona align with CPLC’s mission of empowering our community. As the third largest Hispanic nonprofit in the country, we are fortunate to have a diverse group of advisors comprised of community advocates, corporate representatives, and public servants to assist CPLC to continue to be relevant and adapt to the ever-changing needs of the communities we serve,” said Chicanos Por la Causa President and Chief Executive Officer Edmundo Hidalgo. Gabaldón is one of 17 members on the advisory board and will be representing Santa Cruz County and a portion of Pima County. She will act as a goodwill ambassador, who will share information about CPLC’s mission, services, policies and programs. For more information on CPLC, visit their website at www.cplc.org. STATE CAPITOL, PHOENIX – Rep. Stefanie Mach, D-Tucson (District 10), is trying to change the way the state addresses people with disabilities. Mach introduced a bill, HB 2667, that would remove the words handicapped and disabled from state laws and from any new signs that indicate parking for people with disabilities. Mach survived a car accident in 1997 which knocked down an electrical line and shocked her, causing her to lose her arm. She said as a person with a disability she understands the effect of dehumanizing words on a person or a group of people. STATE CAPITOL, PHOENIX – Rep. Martín Quezada, D-Phoenix (District 29), today applauded U.S. Attorney General Eric Holder for announcing his support of restoring voting rights to felons. Earlier this year, Quezada introduced a bill, HB 2132, that would allow people who have served sentences for multiple felonies to have their voting rights restored automatically. “We are better served when we create opportunities for people to be a part of their communities, and voting is one way to do that,” Quezada said. “People who are returning to their communities should have a voice. When more people participate, our electorate becomes more representative and stronger. My bill addresses these very issues but unfortunately, it has not been heard in committee. Quezada’s bill is assigned to the House Judiciary Committee, but Committee Chairman Rep. Eddie Farnsworth, R-Gilbert (District 12), has not placed the bill on a committee agenda. STATE CAPITOL, PHOENIX – The first meeting of the Native American Caucus for the 2014 legislative session focused on child safety throughout Arizona and in Native American communities. The meeting started with presentations from Child Advocate Response Examination Team members, Rep. Kate Brophy McGee, R-Phoenix (District 28), and Sen. Leah Landrum Taylor, D-Phoenix (District 27), who gave an overview of their recent report submitted to Gov. Jan Brewer. The report highlights the work of the CARE Team in reviewing the numerous cases of child abuse and neglect that Child Protective Services did not investigate. 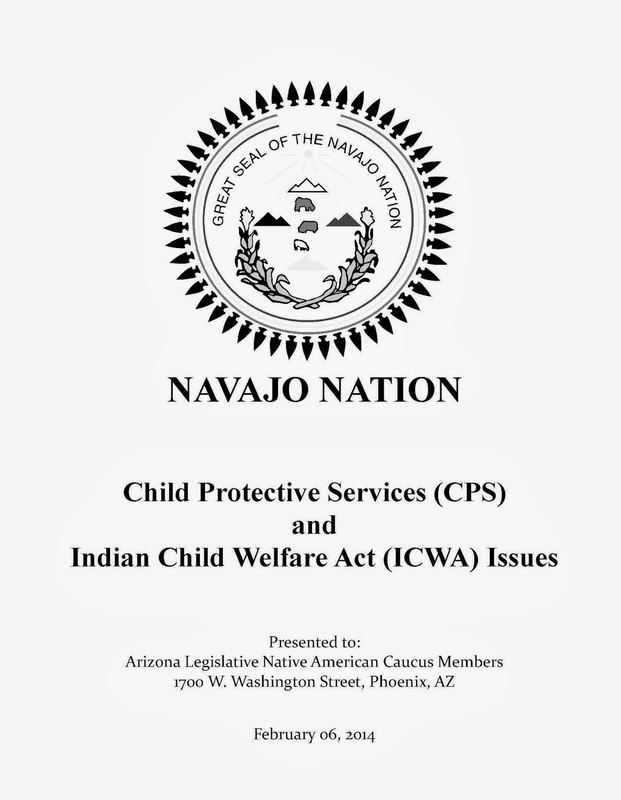 The document includes an analysis of the problems that required immediate attention and identified potential reforms for child welfare. The report also offers recommendations designed to improve child safety and the effectiveness of Arizona’s child welfare system. 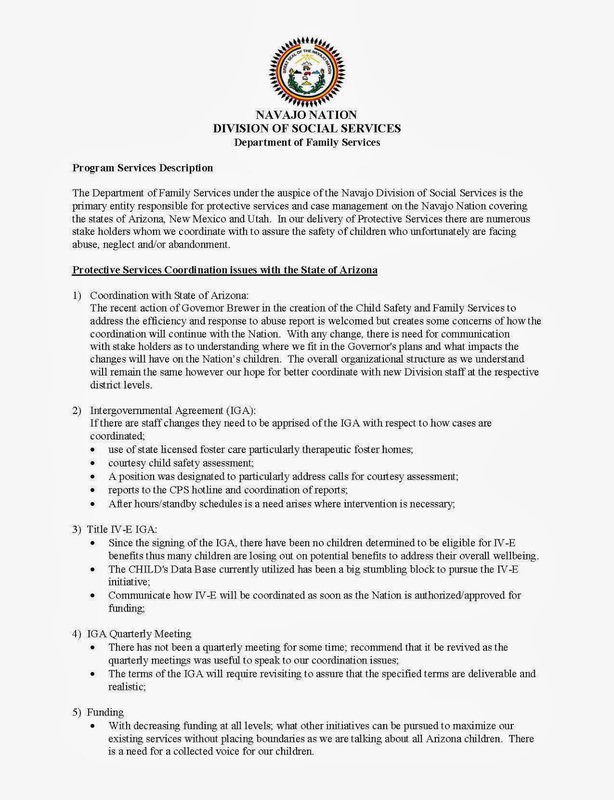 The new director of the Division of Child Safety and Family Services, Charles Flanagan, spoke about the duties of his department and stressed the need to expand child advocacy centers within the community. Rep. Jamescita Peshlakai, D-Cameron (District 7), emphasized the importance of open communication between the state and Indian nations. 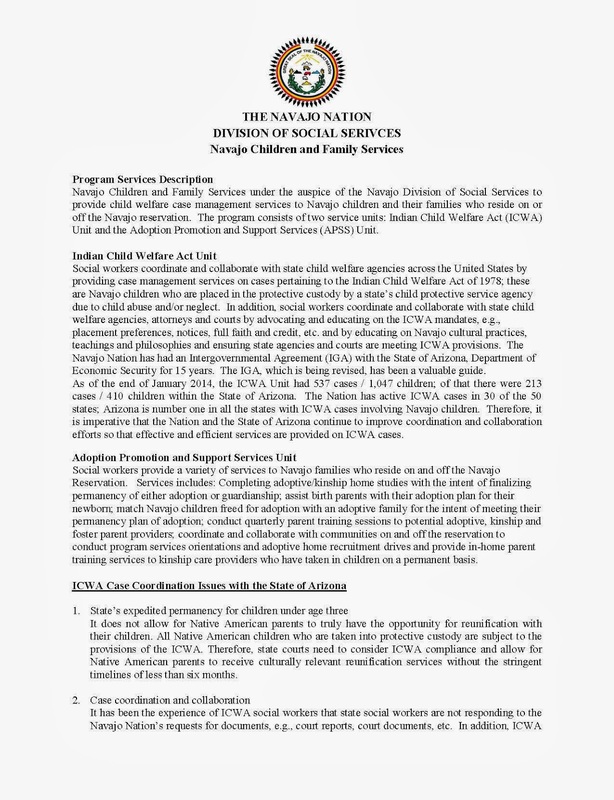 Thomas L. Cody, legislative analyst of the Navajo Division of Social Services, and his colleagues with The Department of Family Services and Navajo Children and Family Services outlined recommendations for improving services to children in Native American nations, which focused on communication, training, funding and collaboration. The full list of recommendations is available below. Rep. Albert Hale, D-St. Michaels (District 7), added that the Native American communities have unique circumstances that must be taken into consideration when talking about child welfare services.